Symbiosis describes where two species live in close contact with one another, often resulting in a mutually beneficial relationship. 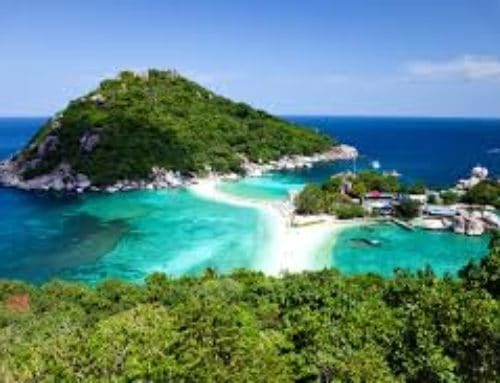 The ocean is home to a huge array of fascinating symbiotic relationships and here on Koh Tao we can observe many examples in every single dive. This is the first installment in a series exhibiting some of our favourite examples of symbiosis. 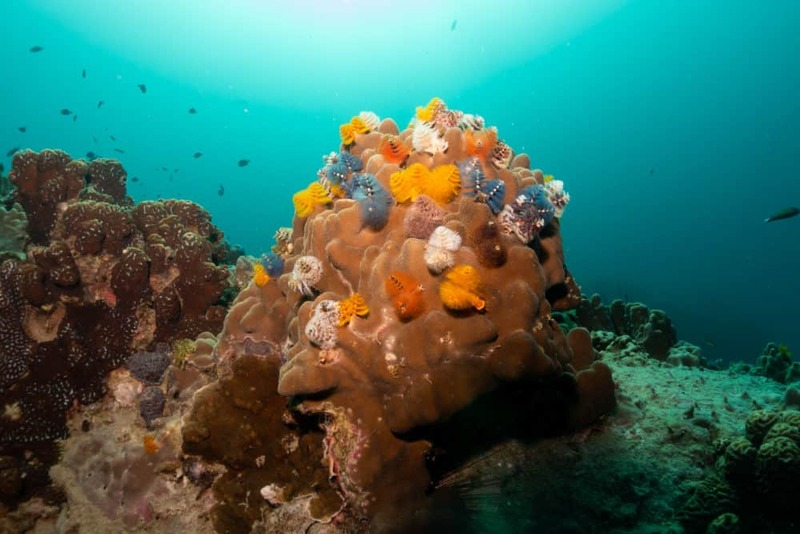 Part 1 will start at the very bottom and consider perhaps the most ubiquitous example of symbiosis in the ocean: the coral reef structure itself. 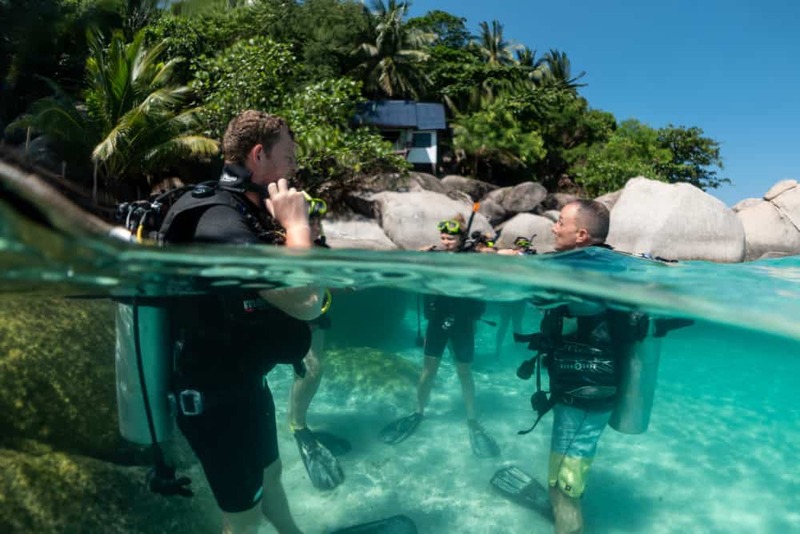 Coral is one of the oceans most fantastic wonders and is therefore one of the main reasons that many people decide to take up scuba diving and enroll in an Open Water Course. 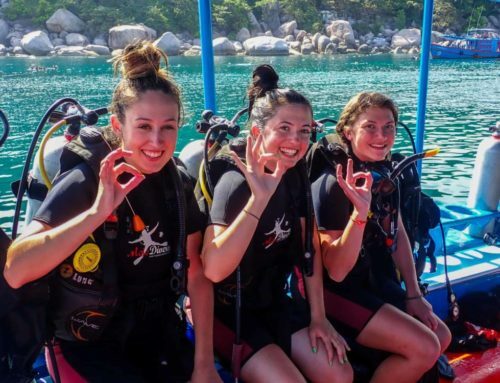 The optimal temperature for coral growth is between 23 and 29 °C which makes the conditions here on Koh Tao perfect for scuba diving as the water is warm all year round. 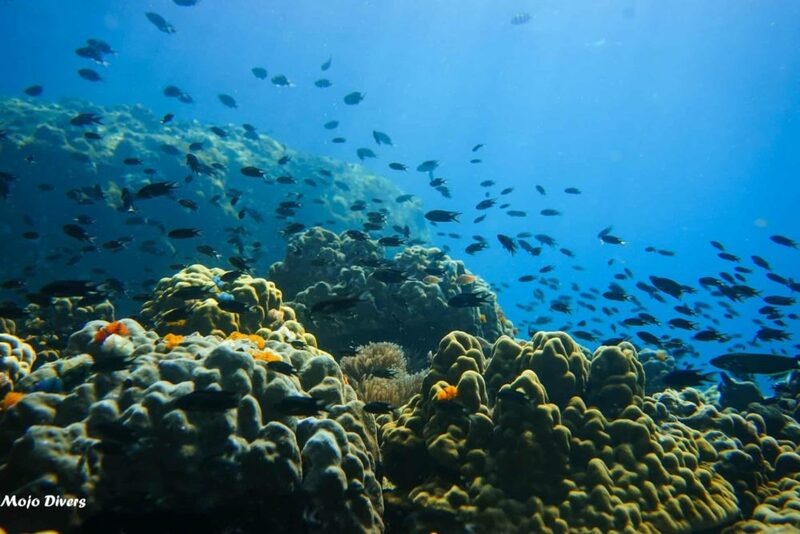 Coral is widely believed to be just a rocky structure but in actual fact it is an elaborate exoskeletal structure made by tiny animals called polyps. These animals are stationary in nature and although they can capture passing plankton to eat, they mostly rely on the food produced for them by photosynthesizing algae called zooxanthellae growing in their tissues. 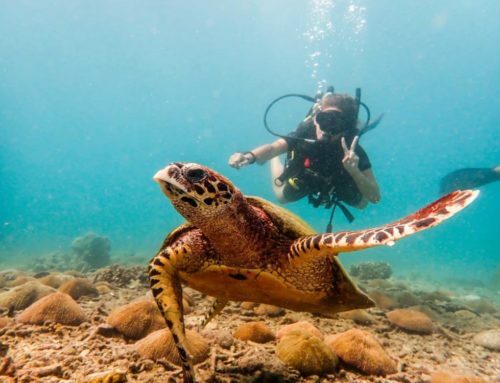 Just seen that turtle during a try scuba dive? This is often what gives the coral the vibrant colours displayed and it is the sickness of the polyps and subsequent loss of these algae that results in the detrimental effect known as ‘coral bleaching’. In return, the coral polyps provide the algae with a protected environment and the compounds that they need for photosynthesis turning the carbon dioxide in the ocean back into the oxygen that we need to breathe. As a result more than 50% of the oxygen in the world’s atmosphere is generated in the ocean, making this mutualistic symbiotic relationship one of the most important in the world! 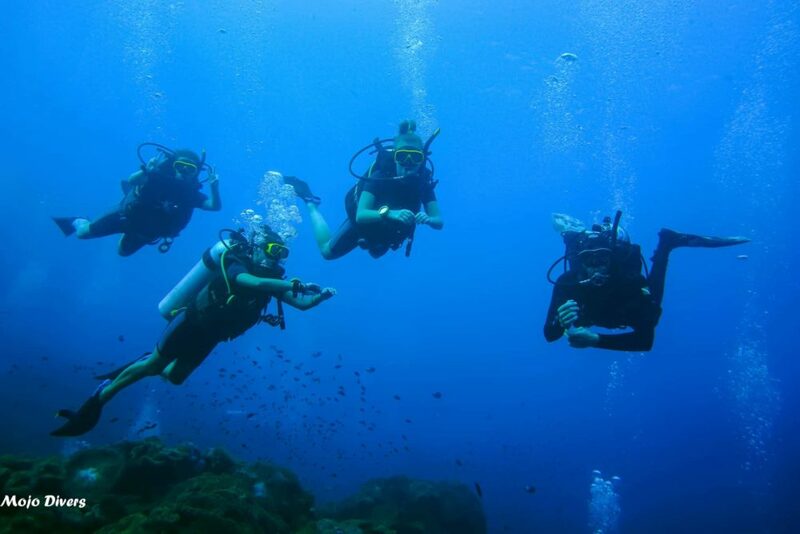 Try scuba diving teaches you the basic skills for diving safely. 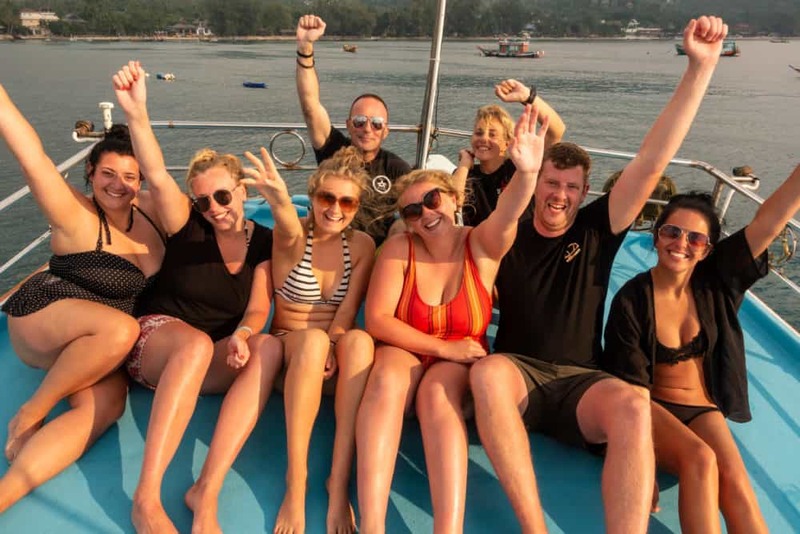 Tune in for Part 2 and see if you are inspired to try scuba diving in just one day or emabark on the open water course and get your diving licence on Koh Tao soon!